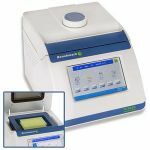 Fast, reliable cycling and ease of use make the Benchmark thermal cyclers the ideal choice for medium to high throughput laboratories as well as teaching facilities or those looking for a personal sized cycler. 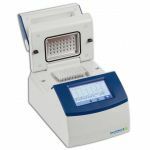 Benchmark TC-32 Mini Thermal Cycler Benchmark TC-32 Mini Thermal Cycler × "Mini sized" doesn't have to mean a sacrifice on features and performance. 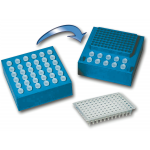 Benchmark's TC-32 Mini Thermal Cycler retains the advanced programming features, easy to use software and fast, reliable cycling of the larger TC-9639 Thermal Cycler, but with a smaller block and lower price point.